City lodging 3 ears, 7 to 9 people in the Ourthe Valley. Property 2: City lodging 3 ears, 7 to 9 people in the Ourthe Valley. At the end of a cul-de-sac, the entrance to a forest lies this splendor. Property 4: At the end of a cul-de-sac, the entrance to a forest lies this splendor. Property 5: Pretty family cottage in the heart of Tilff, near Liège. Free private parking. Property 8: Charming and spacious cottage for lovers, en for walkers! Property 11: In the quaintness of a hamlet, come discover this cosy house with vaulted sauna! Property 14: A cosy independent chalet near the Ourthe river and Durbuy, all fees included! Property 15: Beautiful, authentic Ardennes house with a large garden, located in a quiet village. Property 19: Beautiful holiday home in the centre of the Ardennes. Property 21: A beautifully renovated old court house from 1750. Property 28: Beautiful holiday home in the centre of the Ardennes. Property 30: A beautifully furnished, traditional holiday home. 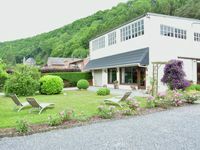 Property 36: Family holiday home with beautiful garden beside the Ourthe and the RAVeL. Renovated farmhouse for 6 persons with garden. Property 41: Renovated farmhouse for 6 persons with garden. New residence with private parking and 2 units for 4 people each. Property 42: New residence with private parking and 2 units for 4 people each. Beautiful house, well decorated with indoor pool, jacuzzi and a terrace! Property 45: Beautiful house, well decorated with indoor pool, jacuzzi and a terrace! This large cottage, recently and extremely luxuriously renovated in 2009. 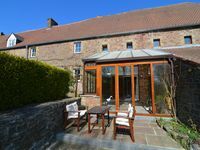 Property 50: This large cottage, recently and extremely luxuriously renovated in 2009. Tr&egrave;s bien accueilli le logement super bien et grand et de tr&egrave;s belle balade &agrave; faire au alentour 😉 a recommand&eacute; sans aucune h&eacute;sitation .